Alexandre Yersin – Swiss and naturalized French physician and bacteriologist. 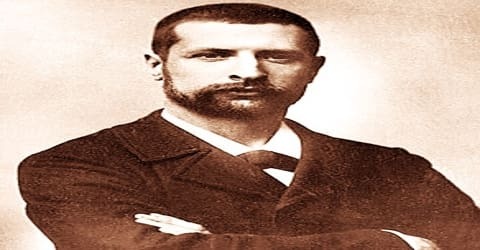 A Swiss-born French bacteriologist and one of the discoverers of the bubonic plague bacillus, Pasteurella pestis, now called Yersinia pestis, Alexandre Yersin was born on 22 September 1863 in Aubonne, Canton of Vaud, Switzerland, to a family originally from France. He is remembered as the discoverer of the bacillus responsible for the bubonic plague or pest, which was later named in his honor (Yersinia pestis). With his persistent effort, he helped to eradicate an epidemic disease like the plague that claimed the lives of millions of people over the century. A nature lover and bright student since childhood, he spent most of his life in France and French Indochina, researching the bubonic plague. Together with fellow bacteriologist Émile Roux, Albert Calmette, and Amédée Borrel, he prepared the first ever anti-plague serum to combat the disease. Later on, based on his research in this field, further investigation was directed towards antiserum treatment, use of antibiotics, and the deterrence of infection through the improvement of vaccines. These measures eventually led to the complete eradication of plague. The technique he used to make the discovery is relevant even to this day and is often used by scientists whenever they are confronted with a new contagious disease. In the last few years, a similar approach has been adapted to study the treatment and cure of diseases like AIDS, SARS, Chikungunya, and more recently, the Ebola virus. Alexandre Yersin, in full Alexandre-Émile-John Yersin, also called Alexandre-John-Émile Yersin, was born on September 22, 1863, in Aubonne, Canton of Vaud, Switzerland. His family originally belonged to France. His father, also named Alexandre Yersin, was a teacher of natural sciences in Aubonne and Morges. Unfortunately, he passed away two weeks before the birth of his son. From 1883 to 1884, Yersin studied medicine at Lausanne, Switzerland; and then at Marburg, Germany, and Paris (1884-1886). 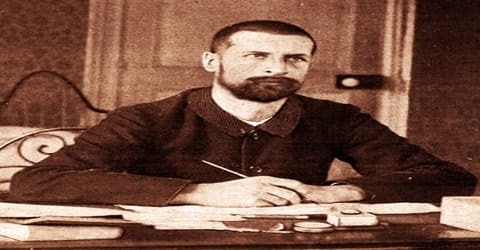 In 1886, he entered Louis Pasteur’s research laboratory at the École Normale Supérieure, by invitation of Emile Roux, and participated in the development of the anti-rabies serum. In 1888 Yersin received his doctorate with a dissertation titled Étude sur le Développement du Tubercule Expérimental and spent two months with Robert Koch in Germany. He joined the recently created Pasteur Institute in 1889 as Roux’s collaborator and discovered with him the diphtheric toxin (produced by the Corynebacterium diphtheriae bacillus). Alexandre Yersin studied medicine at the universities of Marburg and Paris and bacteriology with Émile Roux in Paris and Robert Koch in Berlin. In 1888 he and Roux isolated a toxin secreted by the diphtheria bacillus (bacterium) and showed that the toxin and not the microorganism give rise to the symptoms of the disease. In 1888, Yersin received his PhD degree submitting a thesis titled ‘Étudesur le Développement du Tubercule Expérimental’ following which he spent a couple of months with Heinrich Hermann Robert Koch in Berlin and continued his studies on the tubercle bacillus. He also obtained French nationality the same year. 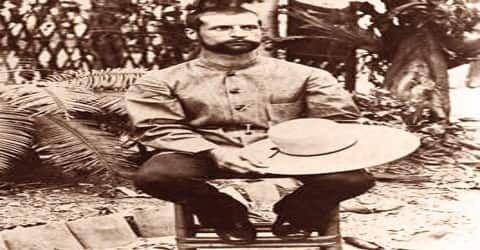 Yersin left Europe in 1890 to serve as a physician aboard steamships operating off the coast of Indochina and soon began his four-year exploration of the central region. He discovered the sources of the Dong Nai River and explored the Lam Vien Plateau, where he recommended that a town, the future Da Lat, be built. In 1892 he joined the colonial health service and was sent to Hong Kong in 1894, where he and Kitasato Shibasaburo independently discovered the plague bacillus while studying an outbreak of plague in China. There, in a small hut (according to Plague by Wendy Orent) since he was denied access to English hospitals at his arrival, Yersin made his greatest discovery: that of the pathogen which causes the disease. Dr. Kitasato Shibasaburō, also in Hong Kong, had identified a bacterium several days earlier. There is controversy whether this was the same pneumococci or a mix of the two. Because Kitasato’s initial reports were vague and somewhat contradictory, some give Yersin sole credit for the discovery. However, a thorough analysis of the morphology of the organism discovered by Kitasato has determined that “we are confident that Kitasato had examined the plague bacillus in Hong Kong in late June and early July 1894”, only days after Yersin announced his own discovery on 20 June. Yersin was able to demonstrate, for the first time in history, that the same bacillus was present in both rodents and humans, thus highlighting the probable means of transmission of the disease. In 1895, Yersin returned to the Institute Pasteur in Paris and prepared the first anti-plague serum in association with Émile Roux, Albert Calmette, and Amédée Borrel. Later that year, he revisited Indochina and established a small laboratory at Nha Trang to produce the serum. The laboratory later became a branch of the Pasteur Institute. From 1895 to 1897, Yersin further pursued his studies on the bubonic plague. In 1895 he returned to the Institute Pasteur in Paris and with Émile Roux, Albert Calmette, and Amédée Borrel, prepared the first anti-plague serum. In the same year, he returned to Indochina, where he installed a small laboratory at Nha Trang to manufacture the serum (in 1905 this laboratory became a branch of the Pasteur Institute). Yersin tried the serum received from Paris in Canton and Amoy, in 1896, and in Bombay, India, in 1897, with disappointing results. Having decided to stay in his country of adoption, he participated actively in the creation of the Medical School of Ha Noi in 1902, and was its first director, until 1904. To finance the laboratory, designated the Pasteur Institute of Nha Trang in 1903, he undertook the cultivation of corn (maize), rice, and coffee and introduced the rubber tree (Hevea brasiliensis) to Indochina. In 1903-04 he founded a medical school in Hanoi but returned to Nha Trang, where he introduced (1920-23) a source of quinine (Cinchona ledgeriana). For this purpose, Yersin obtained in 1897 a concession from the government to establish an agricultural station at Suoi Dau. He opened a new station at Hon Ba in 1915, where he tried to acclimatize the quinine tree (Cinchona ledgeriana), which was imported from the Andes in South America by the Spaniards, and which produced the first known effective remedy for preventing and treating malaria (a disease which prevails in Southeast Asia to this day). On 8 January 1902, Alexandre Yersin was accredited to be the first Headmaster of Hanoi Medical University by the Governor-General of French Indochina, Paul Doumer. Following the country’s independence, streets named in his honor kept their designation and his tomb in Suoi Dau was graced by a pagoda where rites are performed in his worship. 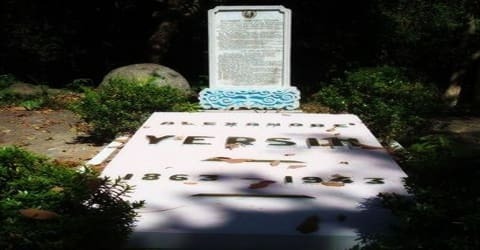 His house in Nha Trang is now the Yersin Museum, and the epitaph on his tombstone describes him as a “Benefactor and humanist, venerated by the Vietnamese people”. In Ha Noi, a French lycée has his name. A private university founded in 2004 in Da Lat was named “Yersin University” in his honor. In 1934 Alexandre Yersin was nominated the honorary director of Pasteur Institute and a member of its Board of Administration. Alexandre Yersin died at his home in Nha Trang, Vietnam, on 1 March 1943, during World War II. His grave in Suoi Dau has been beautified by a pagoda where rites are performed. The epitaph on his tombstone reads “Benefactor and humanist, venerated by the Vietnamese people”. Because of his immense contribution to the field of public health, he is fondly and affectionately remembered by the people of Vietnam as ‘Ông Năm’. Dr. Yersin was credited with finding the site for the town of Dalat (300 km northeast of Saigon) in 1893. Because of the high altitude and European-like climate, Dalat soon became an R&R spot for French officers. There was a high school named after him which was built in the 1920s, the Lycée Yersin, aka Grand Lycée (grade 6 to 12), the Petit Lycée (elementary to grade 5) and a university named for him which was built in the 2000s. While in Hong Kong, Yersin was helped in his research by an Italian priest of the PIME order, Bernardo Viganò (1837-1901). He provided cadavers and assisted him with his quest to find a remedy for the plague. 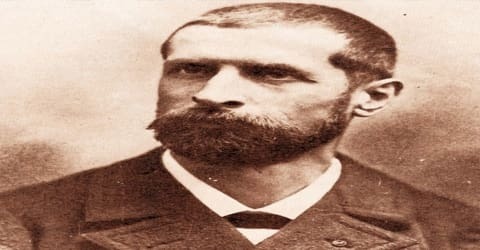 In 1894, Alexandre Yersin discovered the pathogen that causes plague. It is now known as ‘Yersinia pestis’ in his honor. Through this ground-breaking discovery, he demonstrated that the same bacillus was present in both rodents and humans, leading to the identification of the probable carrier of the disease. He was honored with the Leconte Prize in 1927, in recognition of the important discovery.